SMART LED Driver LND127-AL - DALI Dimmable 27Watt EASEIC. 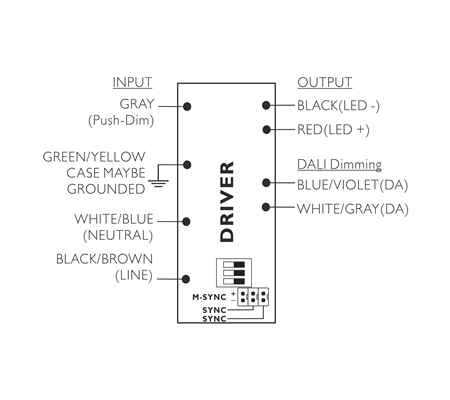 EASEIC makes LED drivers with auto-adjustable current and variable DC ouput voltage. This ultra slim version can be installed in any light fitting that is DALI controlled. The LDN127-AL is compatible with any dali dimmer switch and control panel in the market. This is a constant current dimmable driver with multilevel current output from 250mA to 700mA. The users can control any LED array from 0 to 100% without flicker. The output voltage is 3-62V with a universal AC input voltage from 100V to 240VAC.